We have a wide range of polyurethane foam suitable for all of your upholstery & project needs. 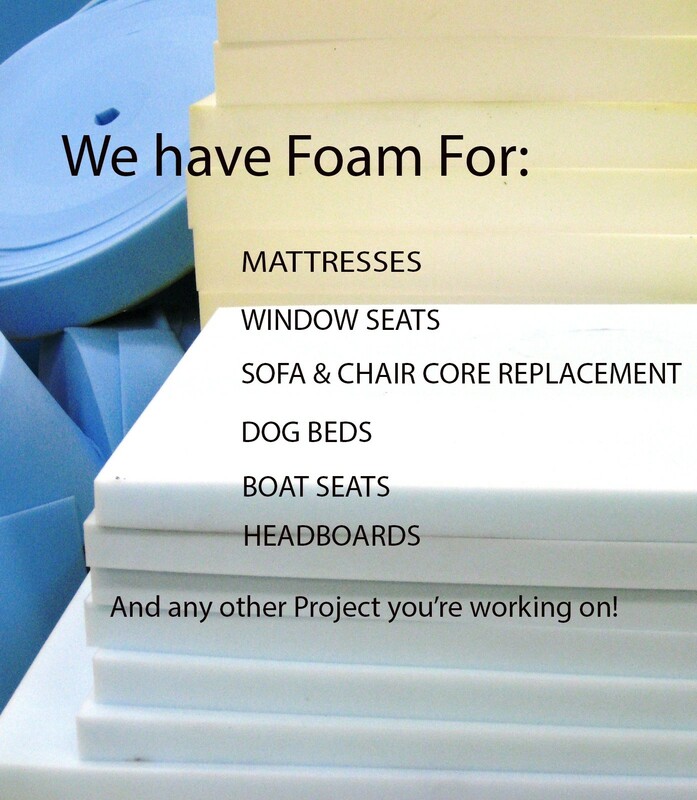 Our Customers have purchased foam for all uses, from residential couch cushion core replacements, to foam for Headboards, window seating, RV Cushions & much more! Foam is cut-to-size, so please contact us for pricing!